This delicious, healthier chicken noodle soup is made with whole wheat pasta and spinach, for added nutrition. You probably heard me say this before, the only whole wheat pasta my family will eat is Delallo’s. I don’t know how they do it, but the taste and texture are better than any other brands I have tried. I also love that their whole wheat pastas come in so many different shapes, more shapes than any other brands I have seen. For this soup, I personally like using boneless chicken thighs in the soup, but breasts would also work fine. Madison likes when I pack this soup for school lunch in her thermos (minus the spinach). To reheat leftovers, simply add more broth or water to thin it out if it’s too thick. This is also a great freezer friendly dish, you can double the recipe and freeze the rest. When it’s chicken and noodle soup my family craves, we love this easy homemade chicken soup, loaded with chicken, veggies and our favorite pasta shape – Acini di Pepe. Heat the oil in a medium nonstick pot over medium heat. Add the onion, celery, carrot and garlic and sauté until soft, 4 to 5 minutes. Add the chicken, broth, bay leaves and 1/8 teaspoon black pepper and bring to a boil. Cover and reduce to medium-low until the chicken shreds easily, about 25 minutes. Discard the bay leaves, coarsely shred the chicken with two forks and return to the soup, add the pasta and cook according to package directions, adding the baby spinach at the last minute to wilt. Made in partnership with Delallo, a brand I love and use every day in my kitchen. I just made this soup. It looks and smells delicious. I used regular acini pasta and chicken breast. How does this affect the weight watcher points? Fantastic. Coming down with a little cold, so whipped this up in the instant pot in no time at all. Tastes so delicious. I left out the onion and celery and salt and used orzo – went with what I had on hand. So excited to have three bowls remaining for leftovers this week. Could not find the pasta at my store so I used the same brand only whole wheat orzo. Only tweek I made was to add poultry seasoning on the chicken as well as salt and pepper. It was delicious. My husband went back for seconds. This is a keeper!! Chicken soup makes the whole house smell so good. I didn’t have bay leaves so I added just a little bit of Italian seasoning. I never know what bay leaves a good for!!! So good, it was gone in a day. Love all your recipes :). Any chance this can be done in the crockpot ??? Hi Amanda, curious if you tried this in the crock pot? Thanks! I’m always kind of amazed at some of the questions…ex: what isle can I find the pasta in?..I feel for you Gina, You do a good job, Women or whomever cooks needs to put on their grown up pants and just jump into it. Most of us did, before you, and we’re still here. Women,Girls take a chance in the kitchen once in a while..it’s ok..really…and most probably he’ll eat it. Thanks for listing to a ‘bug’ of mine. This recipe just simply rocks!! My husband even called me at work, just now, to rave about it!! Such an easy recipe and very kid friendly. My boys, ages 2 and 6 gobbled it up and my oldest said it was phenomenal! ????. There is not a lot of broth after adding the pasta, but it’s easier for the kids to eat this way. If you prefer more broth, I would use 1/4 cup of the acini Di Pepe. Used chicken thighs and I’m glad I did because it added more flavor. One of my favorites ! 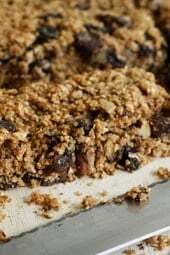 I make a double batch and eat it throughout the week. Kind of like a twist on italian wedding soup. I LOVE this soup! After trying the fist time, I started making double batches so I could freeze for my lunches. I’ve only found the white pasta and find that there is a bit more than I would like in the soup so I just leave that at 1/2 cup and double everything else when I make it. I also chop up regular spinach because that usually what I have on hand. My husband isn’t a fan of soups that aren’t creamy, but he’ll eat this one and my toddler loves it. I try to keep it in the freezer in single serving containers all winter because I find myself craving it! I made it in the Intant Pot this last time and it came out perfect, but I feel like stove top for this particular recipe is easier. Thanks, Gina!!! made this with orzo – couldn’t find pasta in the recipe. easy and absolutely delicious. so full of flavor. 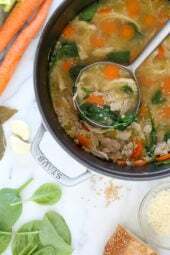 my go to chicken soup recipe this winter! Looks awesome. Has this recipe been converted to the new Freestyle points? Yup, all recipes are updated with new freestyle points. Made this for my weekly lunches and it is very flavorful! One of the best chicken soups I’ve made in a while. The only change I made was that I added some fresh mushrooms, as I already had them and didn’t want them to go to waste in the fridge. Have you tried this in the instapot? In new with IP and saw a previous recipe was converted with IP instructions, but I’m. It sure how to convert this one. I made this tonight in the instant pot. It was great. I sautéed the carrots, celery, garlic and onion in the instant pot with a little olive oil for 5 to 10 minutes. Then I added the chicken, broth, salt, pepper, spinach, and a tsp or so of red pepper flakes. I set pot on pressure cook for 20 minutes. I didn’t have the pasta in the recipe so I cooked wheat noodles on the stove while the soup cooked in the instant pot. When the 20 was up, I did a quick release, took out the chicken breasts, shredded them, and added them back in the pot along with the cooked noodles. Stirred it all up, and then served with a hunk of homemade bread and a little shredded Parmesan on the soup. Easy, filling and delicious ????. I’ve made this several times. It’s delicious! We love it with gluten free spaghetti. How’s does this freeze? Has anyone tried? I see that she says it freezes well but just curious if people have tried it. A little worried about the spinach. Will prob be fine 🙂 This is one of my pick boys’ favorite meals. Even the spinach! I have been freezing this soup in individual portions for a quick meal and it freezes great! No problem with the spinach. I think your recipe is wrong. 1/2 is NOT 2.1 oz. easy to make, delicious but needs more flavor . Any suggestions ? Bone cube herb ox chicken broth. Really pumps up the flavor. Or lemon juice. Honestly the best chicken soup I’ve ever had! Thanks. This soup was great!!! The whole family enjoyed it & it is really simple to make. Very flavorful. Do you cook the pasta sep and then add to the chicken and other ingredients? HI, I’m just starting to venture out of my comfort zone cooking new recipes for my family. I don’t know why but the thought of cooking raw chicken in with the other ingredients creeps me out. Would it work out the same if I add cooked shredded chicken at the end? I made this tonight (substituting Delallo whole wheat Orzo for the Acini di pepe…coundn’t find 🙁 ), and it was delicious. My 5-year-old said it was the “best soup she has ever had!” Hubby also approved. Thanks for the recipe! Had this tonight and everyone loved it! It was simple, easy and yummy. My husband isn’t much of a soup guy but he liked it. Thanks Gina! I especially loved it with the parmesan too. Seriously delicious! I love every single one of your recipes! Easy, delicious, wholesome… Thank you! 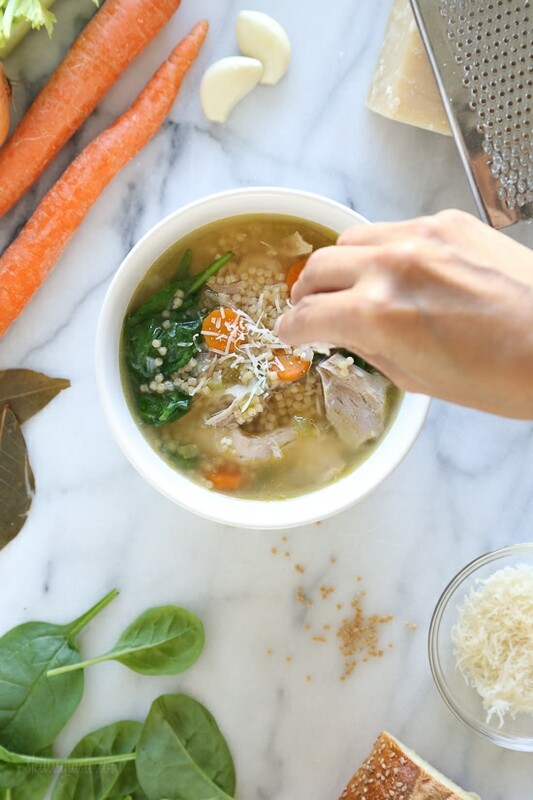 This soup was so easy to put together but the flavor fooled my tastebuds! It tasted like it had been simmering all day. Made this in the instant pot and it was SO good…. I added fresh parsley, italian seasoning and red pepper flakes to the broth.. I also seasoned the chicken directly and added a cup of water, along with the chicken stock. SO good!! I normally make my moms Jewish chicken soup but loved that this was quick and less complicated ! I used the Farrelle pasta ..I had to add water because I used extra pasta . i saw the pasta you suggested in the store but felt like a bigger pasta …next time I will try the pasta you suggested! I had to try this over the weekend…and it was fantastic!!! Great recipe and easy to make. Thanks Gina! 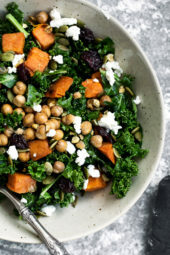 What is the sat fat of this recipe? Please include sat fat counts in your recipes, it is SO IMPORTANT! I put the nutritional amounts in my WW calculator and came up with 6 smart points per serving. Can you tell me whar I’m doing wrong? Can I do this in the Instant Pot? What would I need to change? I made this soup for supper tonight with orzo, It was delicious and not salty at all. Great tasting and packed with nutrition. You can’t go wrong with this one. Could I use a whole chicken instead of only thighs? This was my first email from subscribing on the blog, although I follow on FB. I made this today. WOW. I found the pasta, just wasn’t whole wheat, at Tom Thumb locally. This is the best chicken soup I ever made or ate. Thanks so much. I’m thrilled to include in my WW menus. Is the chicken already cooked when added? Could I throw these ingredients in the slow cooker? Would I add the pasta in during the last hour? Sure, I would probably boil the pasta on the stove, but it might be fine in the slow cooker. Hi Gina! I love Delallo whole-wheat pasta, too! I’ve tried many, and Delallo is always just right. I’m eager to make this soup. Appreciate the tip about freezing. Thanks for ALL your great recipes. I’m always recommending them to my Weight Watchers class, and so they thank you, too! I would use cauliflower rice instead of pasta as I don’t eat wheat. My question is how long would this need to cook in the Instant Pot? I cook the pasta separately. It has a tendency to absorb too much broth. Add warm, drained pasta to each batch served. Can you convert the recipe to an Insta pot for me? Not sure about cooking times. Thank you! Your recipes!! 15 minutes high pressure, add the pasta and cook half the time on the package high pressure, quick release. With all due respect, I like making chicken soup with water and bone-in chicken. The bones are what give it all the flavor. In my humble opinion, no boxed chicken broth can compare. Also, I like adding quite a bit more celery, carrots and onion than your recipes call for. I love the foundation of all your recipes but I find I need to jack up the spices considerably. Thank you for all your hard work to create these recipes. Your post is completely unnecessary. Yours kinda is too Jessica. I feel as though Gina gave her opinion very tactfully and respectfully. Any tips for Instant Pot conversion? Sure, 15 minutes high pressure, add the pasta and cook half the time on the package high pressure, quick release. I used a frozen bone-in almost 2 pound chicken breast and orzo pasta. I initially tried 10 min in the IP with 10 minute NP release but the chicken didn’t cook through. I don’t know what I was thinking.) So I did another 10 minutes with NP release and it was perfect. I turned the IP to saute, added the orzo and let it simmer while I shredded the chicken. After I added the chicken back to the pot I tore up the spinach and added it in batches. It needed a little bit more salt but the end result was delicious! The beef and tomato soup with acini is one of my favorite recipes of yours — excited to try this one! Regular pasta would be ok too. 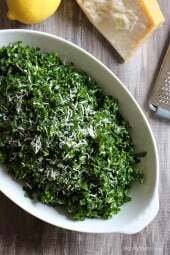 Can I sub Kale in for Spinach? This looks delicious! I think even my picky eater husband would gobble this up! I’m always on the lookout for good, healthy pasta. Where do they sell Dellalo? They carry it at my Kroger! What aisle would you find it in ? Do you think you could use quinoa in this instead of pasta to make it gluten free?